Welcome to Wedding Taxis, we would like to express our congratulations on your forthcoming Wedding. 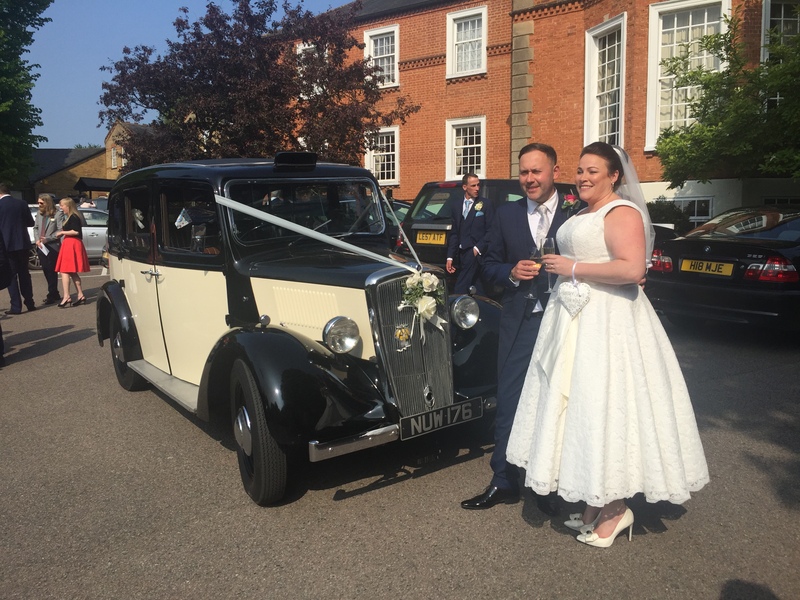 Wedding Taxis are the original and largest supplier of London Taxi’s for use as bridal cars in the UK, and yet we are small enough to offer our customers a personal, professional and friendly service. All of the Wedding Taxis that we use are hand selected by us to ensure that you receive the best possible experience for your wedding. 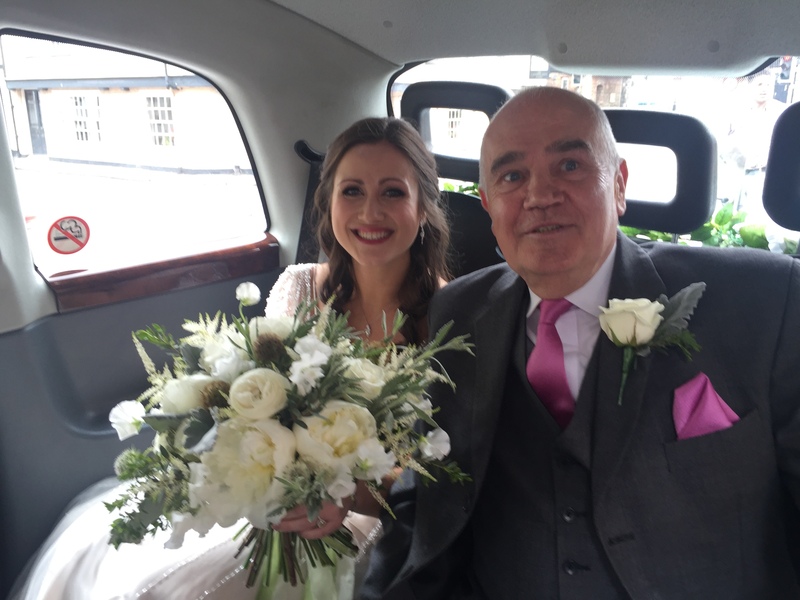 Wedding Taxis have over 18 years experience in providing London Taxis for Weddings and 32 years experience in the Wedding Inudstry, you can rest assured that your Wedding is in safe hands with us. We love Weddings and we would feel privileged to be part of your special day, if we are lucky enough to be part of your Wedding Day we will go the extra mile to ensure that your day is as special as can be. A White Wedding Taxi can really enhance your Wedding experience by providing a subtle backdrop to your photographs. 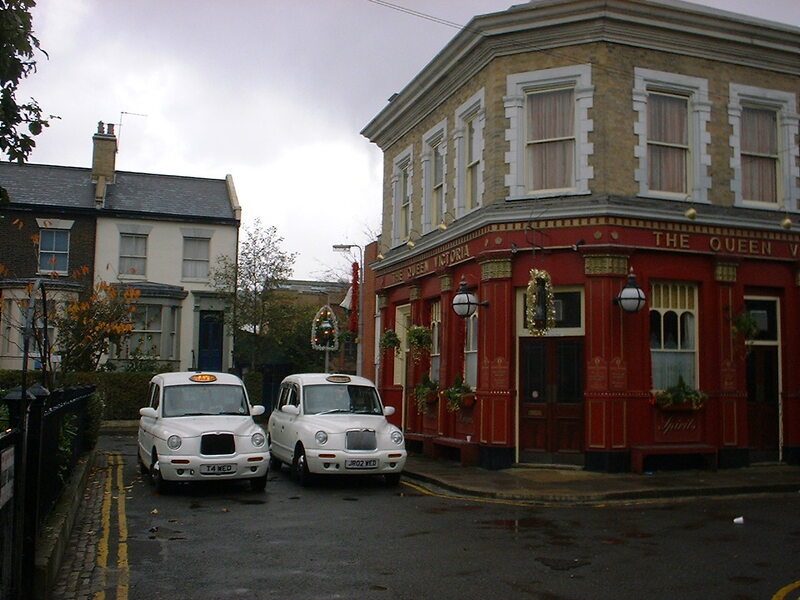 Over 25,000 Taxis serve the streets of London but only a few are genuine White London Wedding Taxis, although a White Taxi is the popular choice for most couples we can supply other colours including Black, Silver and Old English White Wedding Taxis. If you have any queries or questions that you would like to ask about our wedding taxis please do not hesitate to contact us either by e-mail or telephone as we are only to pleased to answer your questions. If you see a London Taxi decorated with Wedding Ribbons it is likely to be one of ours or undertaking a Wedding for one of our customers. We have many promotions and special offers running at the moment, please click here to view our special offers. Don’t miss out on these great offers. Interested in booking one of our Beautiful Taxis but have some questions, please get in touch and we will answer any queries that you may have. 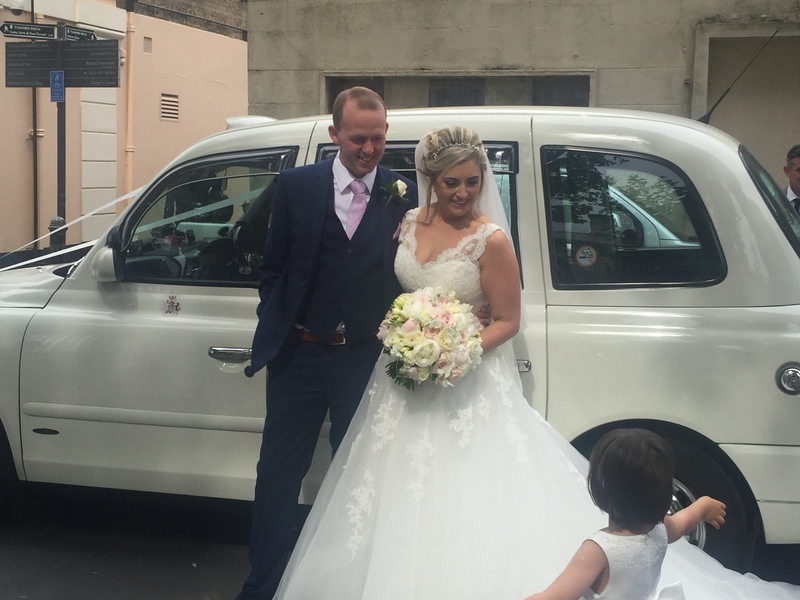 Wedding Taxis is a family run company under the supervision of Denise, we started Wedding Taxis as we were receiving a lot of enquiries regarding the use of London Taxis for Weddings. We initially undertook a few bookings and then decided to set up Wedding Taxis. 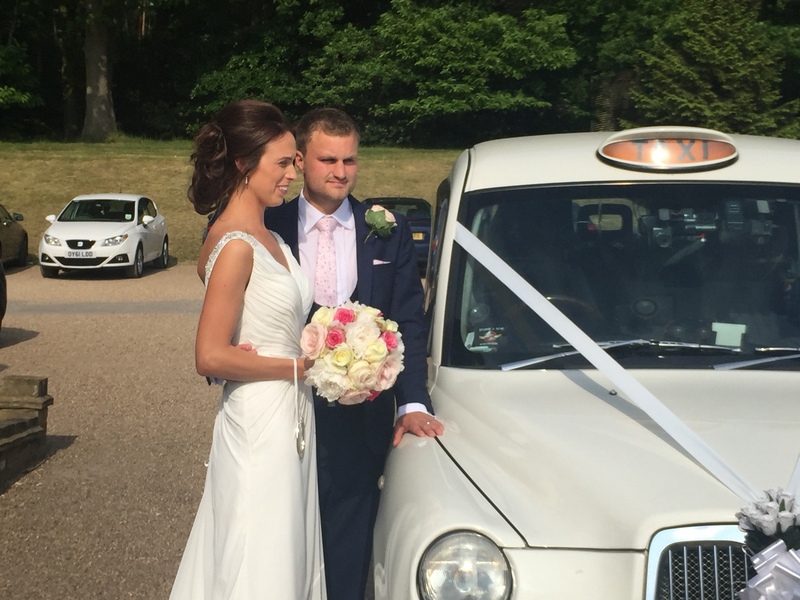 Since its inception, Wedding Taxis has grown into the largest supplier of London style Taxis for use as Bridal transport anywhere in the UK. We have had the pleasure of undertaking many hundreds of Weddings for a variety of people including the rich and famous in a variety of locations around the Country. On high demand Saturdays we do not just send out our taxis, we have a full backup and support service available to our brides and our drivers. Denise remains in the office at the other end of the telephone to support our brides should they have any queries, she also offers our drivers support in case of any problems. Our mechanic is in attendance in our workshops to check over the vehicles before they leave and to rectify any problems. 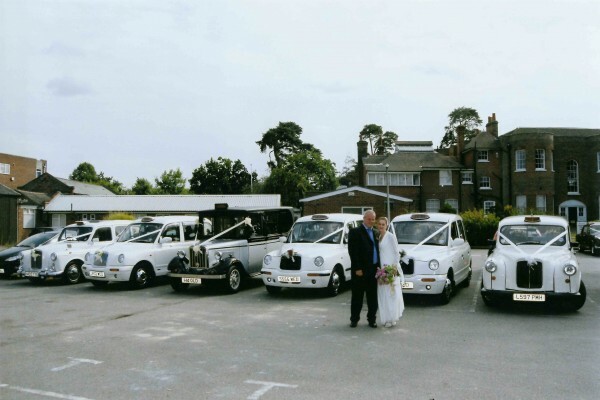 When considering booking with another wedding taxi supplier ask them what back up they have ! We are continually striving to improve the service that we offer potential clients, we price each wedding individually to keep costs to a minimum for our customers and we value all feedback and comments on the service that we offer. Wedding Taxis is a proud member of the National Association of Wedding Car Professionals and the London Vintage Taxi Association.